The one article of clothing I never skimp on for my kids are their shoes. I always look for quality and comfort, knowing how much they will be used and abused. My oldest son, Matthew, is very active, and I always want to make sure his feet are supported in a good pair of sneakers when he’s out playing. I know how important the right footwear can affect your day and I want to make the best decision I can when it comes to footwear for my kids. Umi is a company that completely understands this, and I was honored to be able to review a pair of their UmiSport shoes for my son. The UmiSport line of sneakers is a perfect match for my active three-year-old. They are machine washable, which is always a great feature for kid’s shoes. They have a removable anti-bacterial footbed that helps keep feet fresh and dry, which will come in handy in the sweaty summer months. The UmiSport sneakers are sturdy, yet lightweight, which makes them comfortable for little feet. 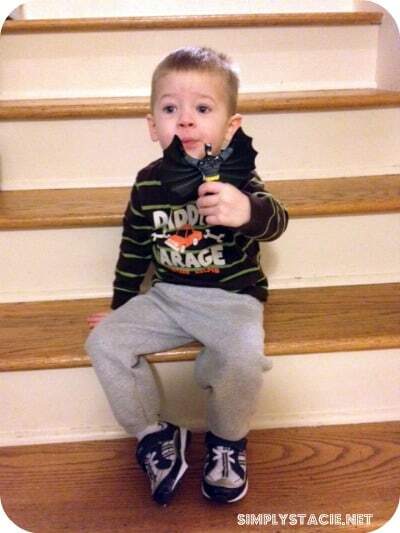 When I asked Matthew how he liked his new shoes, he told me they were “awesome” – the ultimate seal of approval! 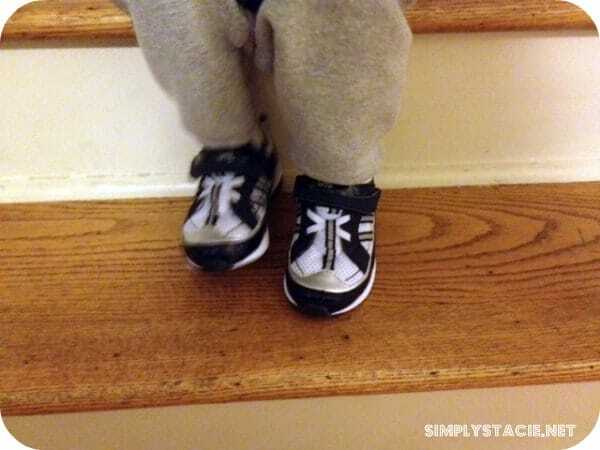 I watched him as he walked for the first time in his new shoes. He was comfortable and moved with ease, which made me very happy. The one-strap Velcro closure is easy for him to manipulate as well, making putting on and taking off the shoes easy for him to do himself. The UmiSport line comes in various colors and sizes, for boys and girls. Umi also has a variety of shoes and sandals for boys, girls, and even babies. Every shoe Umi makes is tested for safety and durability and meets strict guidelines for child-safe materials. They also use only non-toxic drum-dyed leathers and other environmentally friendly components. Ordering is easy – a printable sizing chart will ensure that your child gets the best fit for their feet – and they offer free shipping within the lower 48 states in the US. You can learn more about Umi on their website, on Facebook, and on Twitter. To find a store near you that carries the Umi line of shoes, check out their retail locator. I love the big boys Oleson in Brown! There are many to love and I don’t know if we’re having a boy or girl but I love the Trieste sandal (because we live in the south and it’s fairly neutral) and the the Connor because it’s machine washable. 😉 Thanks for a great giveaway. The RAMUS velcro shoes will be nice for my son. I like the Bodie shoes for little boys for my grandson. 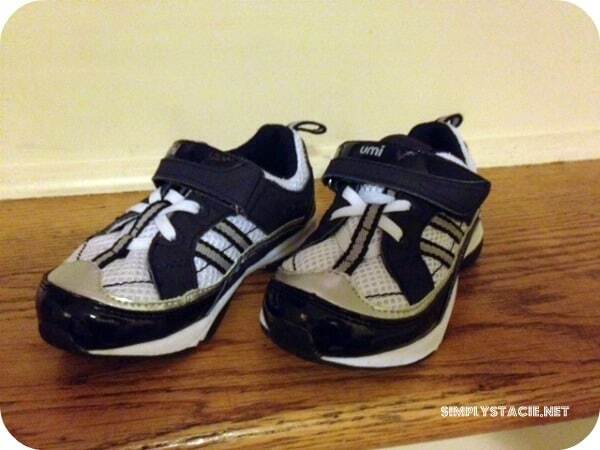 I like the Racer sandals for my grandson in the coming summer. I like the Panache shoes for my daughter. There are so many cute pairs! I think the bluet would be super cute on my daughter. I love the Rowena sandals. I like the Morie shoes in pink. So cute. I like the little girls tutti. I love the Bluet for little girls. Love Umi shoes! Connor is adorable! I like the Chaarm boots. My favorites are the arabellas! like the big boys ramus shoes! I lovelovelove the Tutti girl shoes! The Connor shoes are my favorite. My daughters would love the Louise sandals for summer. Ramos for boys is adorable and would be perfect for my grandson! I like the MAvern for little girls. I love the adorable Elva sandals!